ANDERSON COUNTY, Tenn. (WATE) - The Anderson County EMS director found out Monday night that county officials are discussing different possibilities of the department, including potentially dismantling the department. Anderson County officials met for the monthly operations committee meeting Monday. During the meeting, a commissoner invited a representative from American Medical Response, or AMR, to talk about what the private medical transportation company could do for Anderson County. Tracy Wandell, the Anderson County Commission Chairman, said the representative talked for about three minutes. Nathan Sweet, the county EMS director, said he was completely shocked. "It wasn't on the agenda, we weren't told in advance, nobody came to us and said, 'hey this is something we're taking a look at,'"
Wandell said he was also surprised, but pleasantly. "I think we owe it to the employees and to the county taxpayers to make sure that we have a solid EMS, and that's what we're looking at,"
Wandell said that over the years, the EMS department has been hard to budget for. The service doesn't make a profit, but the department constantly needs more money to run efficiently. He said he heard that Sweet could be asking for about $2 million more for the department's budget next fiscal year. "What bothers me is, if we go up, but the services goes down. That doesn't work in my world,"
Sweet said the EMS department used to make a profit when insurance companies reimbursed more money for their services. He said that currently, his department drops down to 'code white,' or zero ambulances available, about six to seven times a week. He knows his department is understaffed, but he said so is many of the EMS departments across the country. Sweet said it is a budget issue, but it's also because there aren't many people training to be an EMT or a paramedic anymore. "So if we have the staffing issues and they have the staffing issues and you bring them here, where are they going to find the staff,"
During the operations meeting, Sweet brought up that Tennessee College of Applied Technology leaders came to him with an idea that would help bring more EMTs to Anderson County. 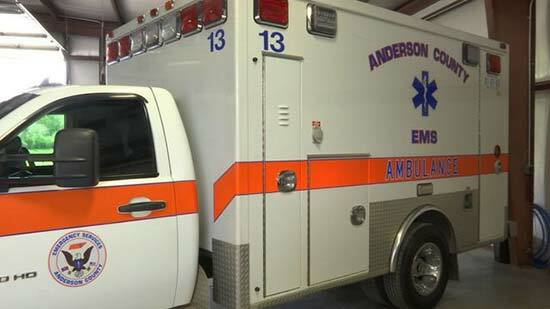 TCAT would team up with Anderson County EMS and teach an EMT class at the department. "Right now what we are doing is we're waiting for someone to go to EMT school, to graduate, and then we're trying to recruit them. This opens it up to where, man we can just start looking around and say 'hey, we think you might be a good fit, and what we would like to do is, we'd like to bring you into our class, teach you and give you the career,"
Sweet acknowledged it could cost more money, but it would also fix the employee shortage. He also said a county run emergency medical service isn't supposed to make money. It's supposed to provide a service. "If the idea is to make money, you're going to have to decrease services. And decreased services has a direct impact on patient care,"
AMR currently operates medical transportation services in Knox, Blount and McMinn counties, as well as many other counties nationwide. Mike Cohen, spokesperson for AMR, said depending on the contract with a county, the county could pay nothing to AMR and AMR would bill the patients. "AMR is always interested in growing and serving more people. 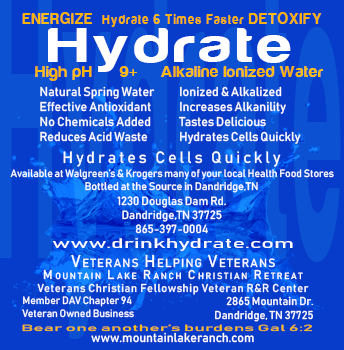 We are proud of the service we provide in Knox, Blount and McMinn counties. 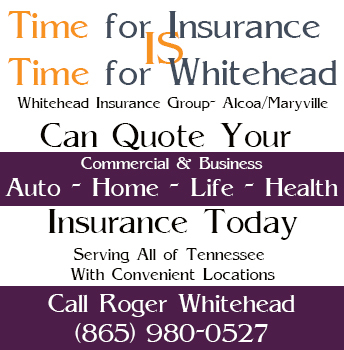 We would be delighted to serve even more of east Tennessee. As the nation's largest ambulance provider we bring a strength and resources no one else can provide." Wandell said the commission won't make any changes overnight, and there isn't a gurantee the commission will choose to outsource with AMR. "At the end of the day, we need to do what's best for the people, the taxpayers. We got to make sure that we are able to serve them. If we're going to have an EMS service, we need to make sure we're gonna be able to meet the needs and not drop short,"
An AMR representative will be at the next operations meeting in May to provide more details.